Special fly sheet designed to be used when driving horses. The sheet features a neck which is easily attached to the bridle with a leather strap. 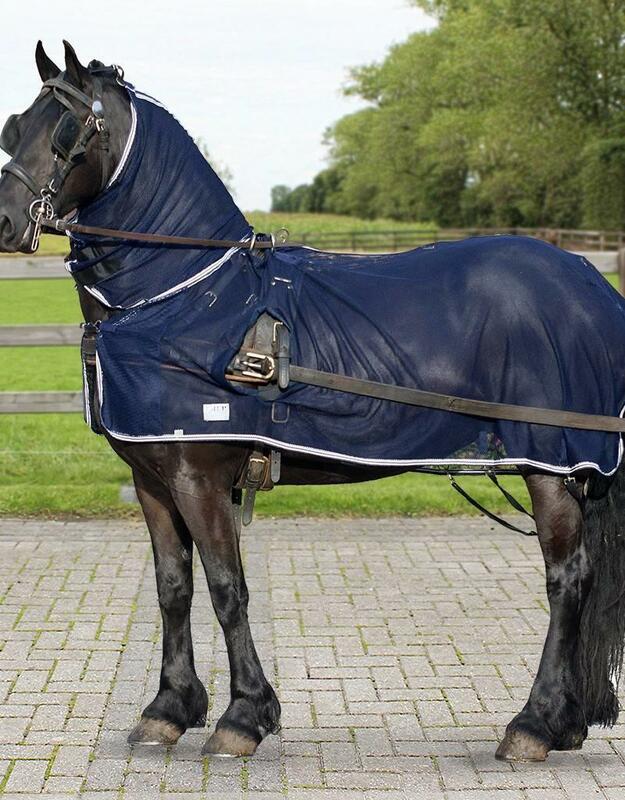 The sheet has various openings which make it suitable for both driving with a single or pair of horses. The openings on the side can be closed with Velcro.